F almost everything on the road, there's a backstory of the owner's purchasing experience. The entire process is laced with variables and inconsistencies that lead to the dotted line. This article provides unbiased perspective on the various methods one can use to acquire their ideal set of wheels. Glistening chariots streak through the countryside using advanced optical graphics and technology to capture our attention. The latest model has a soul longing for a soul mate and is available at your local dealership for a test drive. Virtual technology encourages conversations with microchips and long-term relationships with GPS personalities that possess dashboards and give us polite commands. The images of wealth, popularity, intelligence, practicality, trend-setting and global-consciousness can all be defined through the automobiles we select. Some believe that a vehicle is an extension of the owner's personality. Others suggest it defines the owner. In either case, the mobility decision is not just a means to an end; it is a declaration of taste and status, much like a persons' home and personal attire. After the new car smell is nothing more than a faded memory, monthly payments, insurance premiums, regular maintenance and fuel expenses demand attention. However, if the ground work is laid in advance of long-overdue road trips, the romance can last into a vehicle's old age or resale. A crafty marketing spell is cast, convincing a buyer to purchase the deluxe accessory package. By pre-determining budget limitations, the spell can be broken rather quickly. A budget is necessary in the early stages of the buying process. There are affordability calculators on several auto-purchasing related websites, such as Edmunds.com. Verify that projected earnings will be comparable at the backend of the payment cycle. Predicting an income reduction is difficult; however, anticipating a major life event that has the potential to reduce monthly income during the repayment schedule will spare the borrower unnecessary grief later. Purchasing a reliable used car or a scaled-down version of the original choice will minimize the budget limitations during lean months that can occur with pregnancy leave, seasonal employment or retirement. While determining a price range within budget, it would be advisable to check credit reports for any obstacles that may prevent achievement of purchasing plans. Consider that some credit report errors take over two billing cycles to correct once discovered. It is advisable to get several competitive financing quotes from area credit unions, banks and various online resources, like BankRate.com, ELoan.com, or LendingTree.com. Dealer financing incentives can sometimes be more attractive than your local bank, often proclaiming 0% interest for five years. However, independent pre-qualification will give the buyer authority over the deal that will not negate potential rebates one might otherwise qualify for, in lieu of dealer financing offers. Also consider that local financing helps to build community-based commerce that may be appreciated at a later date. Acceptable standards for purchasing a computer or a coffee maker won't hold true for automobile purchases. While obtaining financing quotes, a shopper should have already begun to narrow down favorite models through test drives and online research. Many manufacturers' websites are rich in apps that allow browsers to build a new vehicle down to option packages, wheel, trim, available colors and finish packages. Additionally, the online custom building experience can serve as a comprehensive guide to understanding how each option or accessory package can alter the final manufacturer's suggested retail price (MSRP). It will quickly become obvious to a salesperson that a buyer has done his homework when discussing pricing and available options. Always consider the positive word-of-mouth feedback that a salesperson might share from previous purchasers of that model, and remember to inquire about any negative feedback received. The salesperson's desire to gain buyer confidence often results in candid and useful information. During initial dealership visits, make it clear that you will not be buying anything. That statement will usually disarm the salesperson long enough to focus on the test drive. At least five to seven comparable models should be test driven and personally rated. First-hand insight, as well as comprehensive online research, should give a buyer a firm grasp of which models won't make the elimination round. How often have we visited a website to research a product, expecting it to be exactly as described? The magic of graphic artistry and marketing savvy, nudge us into purchasing a product suited to our needs, and anxiously we proceed to the virtual checkout. What could be easier? We wait patiently for the item to appear at our doorstep and upon closer examination, discover that a feature is overlooked or misrepresented in the product description. Marketing copy and sales pitches may make a buyer feel more confident, what matters is how a car performs on the road. Until a perspective model has been experienced firsthand through the driver's lens, buying decisions should not be made exclusively online. A combination of researching the available online data and hands-on test drives will determine which features live up to manufacturer's claims of excellence. Seasoned comparison shoppers delve even deeper into less-notable specifications like driver and passenger seating and leg room dimensions, fuel tank capacity, trunk and storage space dimensions, spare tire storage location, fuel economy and anti-theft device features. Evolved websites offer user-friendly apps that lead one down a path of mouse clicks into the land of no return. Although these eager–to-please web links provide marketing sparks to fuel the transportation-challenged, it's advisable to visit the manufacturer sites of all comparable models. While building endless virtual cars in every available shade of yellow, go beyond the gratifying car-building apps and research the specs on fuel economy, safety ratings and engine performance. Keep in mind, a bad rating can translate into a red flag for personal safety, resale value and insurance premiums. Websites like consumerreports.org will share unbiased comprehensive ratings, reviews, and a link to their purchasing affiliate which requires a paid membership to access their database. Consumer Reports also has an informative link to access all litigation associated with their organization, as well as product litigation statistics of other consumer products. When planning a purchase now or in the future, there may be new features to consider. There is an emerging market, poised to turn the future of driving on its green ear, with every manufacturer from Audi to Volkswagen, rolling out their versions of battery-powered, electric and fuel-efficient hybrids. John O'Dell, Senior Editor at Edmunds.com states, "With federal rules calling for MPG ratings in 2025 that will be nearly twice the current standards, it's no wonder that the cars we will see on the road in the next decade will change dramatically. And the change is coming quicker than you realize." In his online article titled, "What's Coming: Alternative Vehicles 2013-'15," O'Dell goes on to list specifics of each manufacturer's hybrid entry in the upcoming twenty-four months that will influence future purchasing and driving decisions. One of the most aggressive undertakings has been announced between Nissan and its upscale counterpart, Infiniti. 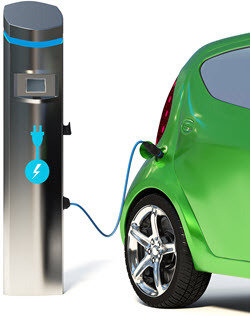 According to O'Dell, "Together, they have committed to 15 new conventional and plug-in hybrids and battery-electric vehicles globally by 2017." His article also points to an intriguing hybrid, slated to arrive in late 2013 by Mercedes Benz. O'Dell reports, "Their limited-production, all-electric supercar is expected to generate 525 horsepower and 649 pound per foot of torque via four compact electric motors positioned near the wheels. A 48-kWh lithium-ion battery pack will store the power." He further states, "Mercedes is aiming for 0-60-mph acceleration in less than 4 seconds. No word yet on whether Mercedes will use all the juice for acceleration or whether it will reserve some for increased range." Criteria to set the standard for resale value is evolving into a powerful, yet fuel-efficient, smart car with well-honed safety records and zero-emission standards. Compliance cars, like the new Fiat 500e, are now being built to satisfy the zero-emission-vehicle mandate in California and the trend will strengthen, even as dwindling numbers of gas-guzzling eight cylinder dinosaurs continue to roam the highways. Leasing becomes an attractive option if a luxury, late model vehicle is the choice. However, a lease will not give maximum return on investment for the average driver. When comparing the bottom line, request a quote for full capitalized cost, including all taxes, licenses and fees. Determine if the benefits of leasing best suit your needs, and weigh the options of purchasing. Leasing provides the opportunity to drive a luxury vehicle with minimal depreciation during its first three years. What remains unpaid at the end of the lease is the residual value. Choosing a well-built, low-depreciating, luxury vehicle can maximize the benefits of leasing. It is not advisable to lease before buying, although that option is available. At the end of the lease, the automobile may still offer an enjoyable driving experience and perform well. The leaser may opt to keep it and agree to pay or finance the residual value. Although first-hand experience of the car's history is valuable, it requires an objective comparison of similar used vehicles to make an informed decision. By initially leasing, and then later buying it, an owner opts to pay the highest overall price and will enter into two contracts for the same item. If choosing to do so, expect to pay several hundred to a few thousand dollars over the money-saving deal new car purchasers frequently seem to achieve. Purchasing something after it has already experienced its highest depreciation makes perfect sense and is still the first choice of many seasoned buyers. Through the course of crunching numbers, or personal preference, one may find used cars more appealing than a factory-fresh model. When going this route, consider buying something one to three years old that still has some original factory warranty in place. This assures the new owner will have time to schedule a comprehensive inspection and any necessary repair of vital systems at the manufacturer's expense. This also allows a chance to correct any rattles and quirks while still warrantied. If the prospect of more frequent maintenance appointments is discouraging, consider it may be the only way to drive away in one of your favorite models from an earlier year which would be cost prohibitive in the new car category. 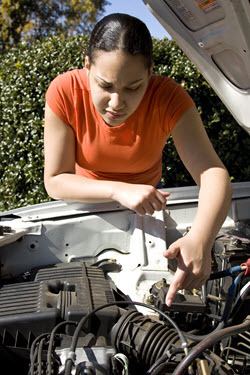 There are also telltale signs that can be spotted to determine if repairs are needed or if it has had major body work. Verify full function of all interior and exterior lights, air conditioning, heating, windows, doors locks, seats and any other powered equipment. Check the rugs, seats and trunk for signs of dampness or mildew and do a spot check for rust in all vulnerable areas, especially on convertibles. A popular website making strides in the CPO market is Intellichoice.com, with a large portion of its website devoted to rating and reviewing certified pre-owned vehicles. When considering the purchase of a manufacturer CPO model, be aware extended warranty and financing options vary from dealer to dealer as there are no across-the-board guidelines in place. Although some dealers like to perform magic acts to encourage buying one vehicle with selling another, it is highly discouraged from the buyer's perspective. Usually, the purchaser will have a trade-in with re-sale value to sell which will offset the down payment required. Each transaction deserves full attention to detail. Prior to selling, locate all maintenance, parts and service receipts and organize them into chronological order for quick reference. If it has a clean history, it may warrant the purchase of Autocheck or Carfax reports as testimonials to be shared on the spot while showing the vehicle. Do the online research to obtain the TMV of your trade-in. Determine the marketable level of its condition to set a reasonable asking price. A garage-kept automobile with a clean interior and a good service record will fetch more than a dusty version of the same model parked on the road with a plastic sign taped to its' window. Consider hiring a professional detailer for the full package, and then take several digital photos of all angles, including the interior, trunk and engine. The extra effort and expense can translate into increased profits as potential buyers see it in its best possible condition. Take a look under the hood and make sure there are no visible traces of accumulated oil or frayed wires and inspect the battery cables for corrosion. When listing for sale, consider some of the free online sites marketed locally through social media and community bulletin boards. If professional assistance is needed with the selling process, sites specifically dedicated to buying and selling used cars, like CarMax or AutoNation Direct can help. Those types of websites require subscriptions/fees for their service, but earn their commissions by simplifying the seller's experience. There are also some auction websites, like EBay.com, which also proclaiming a spot in the catagory. Always provide current interior and exterior photos, including the dashboard and back seat. There are other options that can provide both online and local exposure, such as News on Wheels. 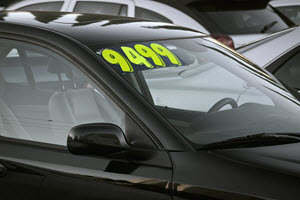 When opting to place a plastic for sale sign, take the time to print well-thought out information, like price, mileage and that it is legible from the road. This may be an advisable method if it's parked in a highly-visible location during regular work hours. Resist the urge to say "Make Best Offer," which requires more time to process all of the non-qualified responses. List a contact phone number, include the area code and if space allows, mention the best time range to call. Occasionally, vehicles don't perform as expected. They sometimes fail due to circumstances beyond our control, usually with no warranty in place. If a vehicle has had regular oil changes and maintenance performed, barring abuse or undisclosed factors, odds are good that it should be repaired to complete its full in-service cycle. However, if the engine light remains perpetually lite or the transmission has been slipping for months while the owner remained oblivious or in denial, karma may have finally caught up with them. Even in those instances, it may not be too late to repair the damage. In a transportationally-challenged situation, the owner must find reliable mechanics that won't overcharge for their services. A minimum of three estimates should be obtained before deciding on the next course of action. When possible, make temporary transportation arrangements until the cost of repairs can be determined, to resist the impulse of accepting the first quote. Often, insurance policies and auto club memberships include a rental car rider for a specified number of days, depending on the circumstances. Once a vehicle is properly repaired and serviced, it can be sold to recover the cost of repairs by determining its true market value, and preparing it for maximum return on investment. If the repair included the replacement a major component, like the automatic transmission, use the updated information as positive reassurance to potential buyers that the new transmission will perform great and is still under warranty. Often, a newly-serviced car can be seen through fresh eyes and go on to provide many more years of service. The exception to this scenario is when the life expectancy of an automobile comes under scrutiny. Perhaps the repair estimates have all proclaimed a list of problems that require two or more pages to itemize and a mechanic to interpret each line item. In this situation, determine the overall value of vehicle, after repairs are completed, utilizing TMV tools, and do the math. Depending on year and condition, it may be wise to repair and replace it with a newer model, or perhaps sell it for the used parts that still hold value in that market. Over the past decade, automobile-purchasing websites have almost tripled, with their own slice of pie carved from mouse clicks. Buying trends point to one-stop havens, loaded with informational articles, payment and finance calculators, insurance quotes, ratings, reviews, and most importantly, the car searching/building/pricing application. TrueCar.com is a clever site that can hold its own up against the veteran marketing guru, yahooauto.com, although both claim rungs in the transportation profit ladder. TrueCar.com promises a unique buying experience by pre-qualifying the most reputable dealers across the country to offer their best price for the vehicle of your choice. To further entice the bargaining instinct, the website allows shoppers to compare a price quote with the actual price others paid for the exact same model at local and national dealerships. Yahoo takes a more personal approach by setting up a handy virtual garage of automobiles the subscriber already owns, as well as potential future acquisitions. They provide a helpful maintenance section to track repair expenses, and of course, the ever-useful shopping app that can compare favorite models. The good news about online research is that it will eventually take the shopper where they long to be. Throughout this article, several websites are mentioned for their specific niche in the automotive marketplace. Many more companies avail themselves to participate in or alter the transportation selling industry through third party websites. The front runners are online every day, uploading user data and downloading product information for consumers to gobble up and digest. One website stands apart, demonstrating true marketing genius behind their free buying and selling service, very similar to a sponsored swap meet. Their fingers aren't directly in the individual buyer or seller's wallet, nor do they require membership to access their database. Autotrader.com gets to the business at hand rather quickly, with the necessary links on the front page. The AutoTrader Group claims ownership of Kelly Blue Book, which keeps everything in the family and accessible for shoppers. They state their purpose as "The ultimate automotive marketplace," and have even copyrighted that slogan with their name. Their strength lies in treating all transactions with equal importance. Buyers and sellers connect through a virtual database. The website is rich in up-to-date reviews, comparison apps and vehicle specifications, as well as links to AutoTrader's own brand of insurance and finance quotes. The site is filled with relevant advertising and pertinent links. Their website offers a link to AutoTrader.com Visitor Agreement, which states the terms of doing business there. The agreement highlights their straightforward third-party approach at solving many sales mysteries. AutoTrader's strength lies in its sponsorship campaign, which features banner ads and links to manufacturer's websites. The company pledges its loyalty to the dealerships and manufacturers by encouraging shoppers to request quotes based on their zip code. At AutoTrader, dealers have their own portal area to access pertinent reports presented with consideration to their perspective on the industry. The comprehensive dealer page offers an insider overview on hot topics. An interesting research paper titled, "White Paper: The CRM Paradox," was published in January, 2013, through the Dealer Learning Center at AutoTrader.com. Its' research and findings are based on the after-purchase survey of 4,700 car buyers and customer relationship management (CRM) automotive system data. The report reveals glaring inconsistencies when results are compared; it states, "The Internet Is the most-used, most-influential source during the car shopping process." The report summarizes with, "…the higher the usage, the more influence a source finds to transact with greater ease, confidence and efficiency." After being seduced by hand-stitched, heated, lumbar seats and state-of-the-art sound systems, shoppers become attention-deficit when considering deductibles and insurance riders. An easy insurance oversight is not comparing the deductible amounts used to determine a third of the overall rate. 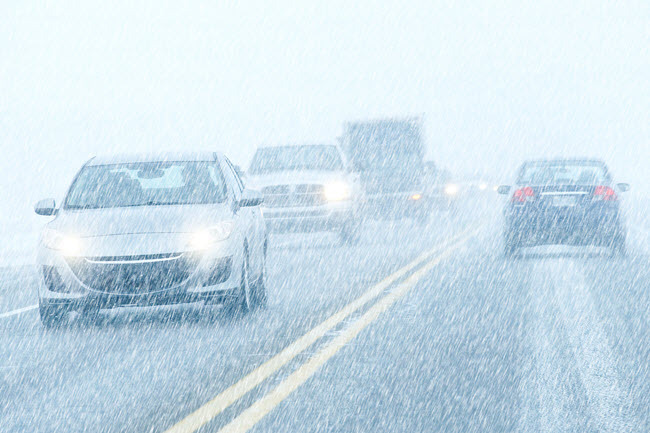 Consider one's driving history and the likelihood of filing a claim. Theft and acts of nature aside, odds are good for a person with a clean driving record to continue the trend with a new vehicle. Increasing the deductible amount to $500 or higher can provide savings in the thousands over the life of a policy. There are varying rates for coverage determined by a number of factors. A common mistake occurs regarding the property damage limits on a policy. This item refers to damage done by the insured vehicle to other structures and is often set at $100,000. Consider lowering that amount to $50,000 or less, depending on your net worth. Bodily injury coverage is also typically set at $100,000. This sometimes translates into overlapping coverage that is concurrent with an active medical insurance policy. A person's net worth and assets should also help determine limits when setting these variables into a full-coverage policy. Add-ons like road-side assistance and rental car reimbursement are often covered under new and extended warranties and paid affiliations, like AAA. Some national cell phone carriers and credit card providers offer a low-cost rider that can be activated to initiate free or low-cost towing benefits, and are typically much less than the same benefits offered on traditional insurance policies. "I would suggest some basics to potential buyers. First, determine your budget. Down payment, monthly payments, insurance, and potential repair and operating costs; all must be considered. Secondly, determine the car you want and see if it matches your budget. Once you have selected the car, check out your local dealer. Check with any consumer advocate agencies to see if your local dealer handles complaints properly and check for volume of complaints." "I do not recommend the Better Business Bureau (BBB). Besides my personal experience, recent news articles have pointed to situations where local chapters have reported low ratings for business owners that did not join their chapter. Once they joined, their low ratings immediately changed. Shop around and then attempt to buy from a local servicing dealer. Establish a relationship with someone you will depend on for service on your vehicle." When it comes to purchasing protocol, there is one prevailing rule most buyers invoke: Get the most automobile for the best price. In that arena, alliances and deals are made and broken based strictly on the numbers. The concept of pitting dealerships against each other through an email bidding frenzy has gained popularity and is edging toward consumer acceptance through the surge in bidding-friendly websites like truecar.com. Online resources prove informed buyers have the advantage when initiating bidding wars that make most old school sales veterans fall to their knees. In other words, this is not your grandpa's game. Terminology is a factor when discussing price. Besides the MSRP, there is also the list price, fleet price; internet price, dealer invoice and dealer's net, after incentives are factored in. The sale will be based on retail, wholesale, factory, or cost-plus pricing. When trying to pin down the illusive fleet manager for special pricing or working directly with the internet sales department, don't get hung up on the definition of the discount; just look at the bottom line. Remember, it's just a juggling act of interchangeable numbers. Work with reliable companies that offer the best rates when pinning down the finance and insurance details. Dependable service is a factor when claims are filed and requests made. If financing through a dealership to capture the manufacturer's zero or low interest rates, use a payment amortization chart to verify your monthly payments. It is a straightforward chart based on total sales price and interest rate quoted that will ensure you are receiving the low interest rate you were quoted, with no variables to dispute. 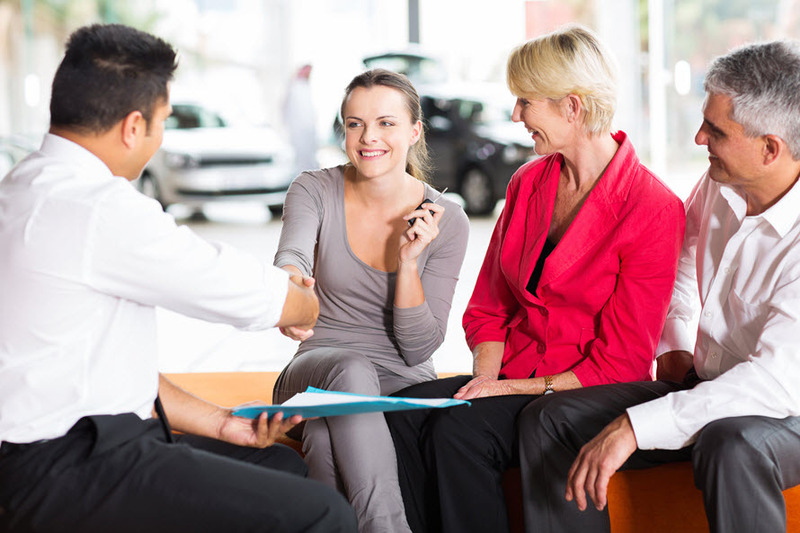 Often, dealers use the contract-signing appointment to suggest after-sale add-ons. One of most popular is GAP insurance, activated when filing a total-loss claim. This policy will close the gap between the actual cash value of a vehicle and the outstanding amount owed on the loan. 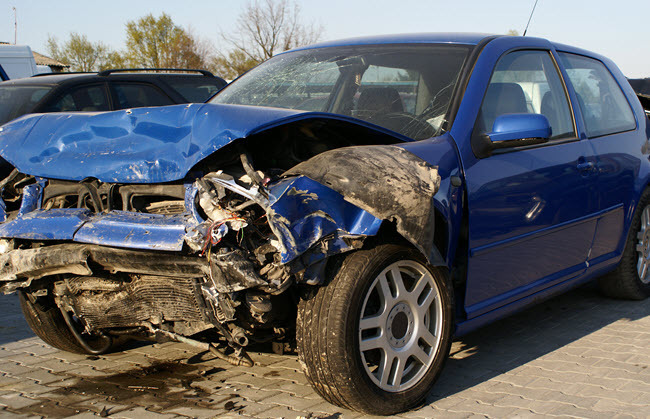 GAP coverage cancels out a liability that could remain active long after a car has been sent to the junkyard and been replaced with another financial commitment. However, insurance companies are better equipped to offer the lowest rates for this kind of protection, so shop around before purchasing day. GAP insurance is also useful if it will be difficult to maintain the estimated market value of the vehicle over the life of the loan. One thing to remember when filing a GAP insurance claim is to continue paying the small monthly premiums, even if you cease making monthly loan payments. Keep spare keys and documents in a safe, fire-proof location that is easily accessible in emergency situations, like theft or accident. An unwitting team of professionals has participated in the research and information that ultimately matched a driver with their vehicle. Only the buyer can retrace his steps, make decisions and cement the deal. If bottom-line pricing becomes the objective, then it simplifies the outcome. However, if a particular salesman always answered your phone calls and emails promptly, or was available for yet another test drive after his shift ended, he probably influenced the buying decision. If you live a small to average-sized community, than you probably know someone who is a friend or neighbor of his. Follow your instincts and give him the order, even it means paying the second from the lowest price. There is a reason not all prices are the same; it's called service. His vested interest in your car is established, and he may be a resourceful ally when working with the service department. It's common to hear stories of salesmen assisting owners after the sale with necessary transportation and communication to complete regular maintenance schedules. An automobile acquisition is a significant purchase. Whether considering a Bentley with a price tag of $485,000, a co-worker's 1997 Chevy for $500.00 or something in between, the decision can be life-altering. The public road system levels the playing field for all vehicles in an interactive grid of faceless fellowship that places automobiles at the front line of defense. In the end, the buyer decides who, what, and how, will complete the deal. Prior to signing the well-discussed terms imprinted on the legal-sized, five-part sales contract and payment agreement, a buyer must determine which manufacturer of what model, in what color, with which options, will be sold or leased, insured and financed, by which companies, and under whose terms. No single method has set the standard for buying and selling in the changing landscape of automobile transactions. As long as diversity continues to define the automobiles we chose to drive, it will also prevail over the various ways we acquire them. Add a free HTML loan calculator to your website today. Installs in under a minute.